Epionce Intensive Nourishing Cream targets the root of your skin damage. It goes deep into the skin to rebuild and repair with a combination of hydrators, peptides, and fruit extracts. Ideal for those with very dry, photo-aged skin who want to impart the skin with rich, soothing moisture and repair damage. Linseed Oil hydrates and nourishes. Best overnight moisturizer on the market! I’ve tried to switch and pay less and always end up coming back. Worth the price! This cream is a wonderful product, especially following facial surgery when the skin is very dry. I am very pleased with the product, the price and the service that I received. This cream is an excellent produce, especially after facial surgery which tends to make the skin very dry. I am pleased with this purchase and with the service that I received. 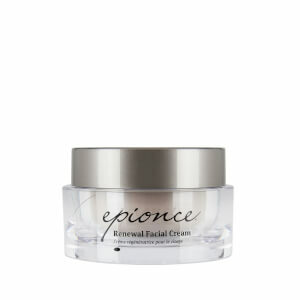 Epionce Intensive Nourishing Cream is super hydrating. I would have given it a 5 star but it does feel a little greasy on the areas that tend to be a little oily but for dryness, is a +++! This is the number one product that I can never be out of. It feels good on my skin, allows makeup to go easily and knowing that it is healing my skin at the same time makes it worth its cost. I don't ever want to be without this cream for the rest of my life. Yes, it is a little pricey but I just love it and it agrees with my sensitive skin. My skin has never been as hydrated as it has been since using this product. Give it a try! You won't be disappointed! I have a very dry skin and I have been using this cream for more than a year. It really helps if you have dry skin, specially in winter time. I use it through out the year. I definitely recommend this cream. This is a great product, especially in the fall and winter months. It is very moisturizing and hydrating without making your face feel greasy. It has become one of my favorite night creams ever! I have been using products from the Epiionce line for 7 years. This night cream is so thick and rich you just need a tiny bit. Over time it erases fine lines and improves texture. When I wake up in the morning my skin glows!! I have tried other creams over the years and I always come back to this one for simply the best results!